This week marks the return of my friend Casey Neistat to the podcast. The great irony is that in embracing the most democratic of platforms as his primary artistic outlet, Casey has indeed become one of the most compelling and culturally relevant voices of his generation. From his sensational “Make It Count” (my fave) to his poignant “What Would You Do with $25,000?” to his gleeful “Snowboard NYC”, Casey has logged over 129 million YouTube views, compelling Wired Magazine to remark, “Casey Neistat’s bite-size Internet movies have so much viral potential they make influenza jealous.” Let’s not even get into his continent-sized following on Snapchat (check out his ancillary Snap Stories YouTube Channel ), or the fact that he recently began posting a daily vlog so stellar, suddenly every other vlogger looks remedial. Putting out a volume of content that would rival a major network, Casey Neistat is truly a do-it-yourself triumph — famed and fêted for unceasingly documenting his life, globe-trotting adventures and myriad curiosities with boundless perspicacity and bootstrapping panache. So what is it exactly that makes Casey’s work so irresistible? Maybe it’s simply because he knows how to tell insanely great personal stories. Perhaps it’s his rapier-like knack for tapping the zeitgeist pulse. His fidelity to authenticity. Or his expertise when it comes to connecting emotionally with a signature style that always leaves you yearning for more. an absolute disregard for failure. That, and a profound work ethic. He makes it look easy, but make no mistake: Casey Neistat works way harder than you do. No, you can’t have his life. But you can have your own. To echo Casey, if you are doing it like everyone else, you’re doing it wrong. So stop following the heard. It was a treat to once again drop in on his singular Lower Manhattan studio — “one of the most compulsively organized, ridiculously customized, and mind-bogglingly gear-saturated spaces on Planet Awesome” — and I am pumped to share this conversation with one of the most interesting, creative, prolific — and in my opinion important — visual artists working today. If you didn’t tune in for our first conversation, you really should — it’s great. 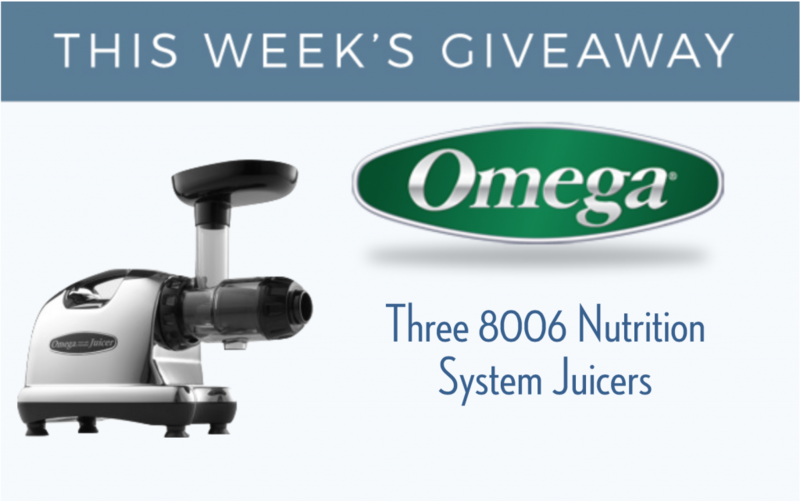 This week we are thrilled to raffle off three brand new model 8006 Nutrition System Juicers (valued at $299.99) from our good friends at Omega Juicers — the absolute best, most efficient and reliable commercial capacity juice machines on the market today. HOW TO WIN*: All you have to do is join our Thunderclap — a totally free, simple to use crowdsourcing platform requiring only that you “pledge” a social media post in support of The Plantpower Way that will automatically post to your timeline on April 27. Our new goal is to achieve a social reach of 2 million (we surpassed our original goal of 1 million and we are so close), so show your support for the movement and let all our voices be heard all at once! To join, just click on the below banner and follow the simple instructions. It only takes a minute tops (did I say it’s free?). Thanks so much for the support – we will announce the Omega Juicers winners on next week’s podcast! *No purchase necessary for eligibility. Shipping to Omega Juicers winners restricted to US & Canada. Even if you don’t win this week’s prize. All winners will be randomly drawn on Sunday, May 3, contacted through e-mail or social media (if no e-mail provided) and announced on the following week’s podcast.